All the work that Send Hope is able to do throughout the world is made possible by our generous supporters. Every donation contributes to the hope we are able to bring to the world. The more resources that we are able to bring in, the more effective we can be. Here are a few ways you can partner with Send Hope as we seek to make a difference. 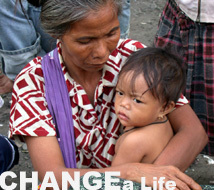 Our relief efforts focus on poor and impoverished countries all over the world. We physically work to meet the need but it is our supporters who make everything possible. 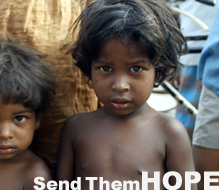 THE WORLD NEEDS YOU - You can send hope by supporting our relief work. Below are some of the countries we are currently active in aiding. This is an opportunity to target a specific individual or country with your donation. Please consider supporting our local operations of Feeding The Hungry and Youth-At-Risk. These programs are a great impact to the community of Hawaii. FEEDING THE HUNGRY - Support our weekly feeding of nearly 1500 people in Kalihi Valley, Hawaii. YOUTH-AT-RISK - Support our involvement with the youth of Hawaii. SEND HOPE is a division of Surfing The Nations Foundation which is a federally recognized 501(c)3 Non Profit Organization based in the United States of America. Surfing The Nations Foundations has been doing relief work for over 8 years and is committed to changing lives for many more years to come.